The Unitech MS308 has reached end of life. It has been replaced by the Unitech MS340. 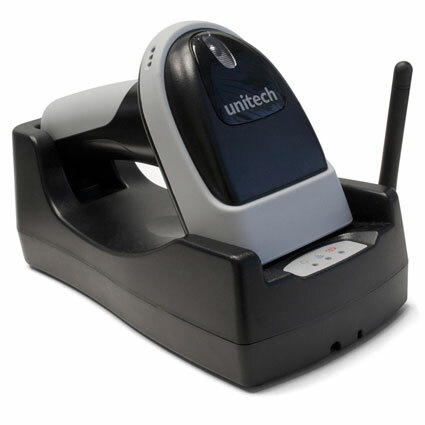 The Unitech MS380 barcode scanner provides tremendous radio range and fast scanning, a good fit for retailers who might not be able to bring products to their POS station. Weighing in at 8 ounces and built with an ergonomic design, the MS380 is light enough to not wear out employees after extended use. The linear imager in the MS380 offers quick and easy scanning, streamlining operations and minimizing additional training. An optimal scan range of about a foot for standard retail barcodes is great for most general use and eliminates training employees on how to find the scanning "sweet spot." A Bluetooth class 1 radio provides communication between the MS380 scanner and the included cradle, with an effective radio range of 300 feet, line of sight. The scanner can also pair to Bluetooth-compatible devices, such as a laptop or mobile computer, giving you additional data capture capabilities while on the go. Rough retail and light industrial environments are no match for the MS380. 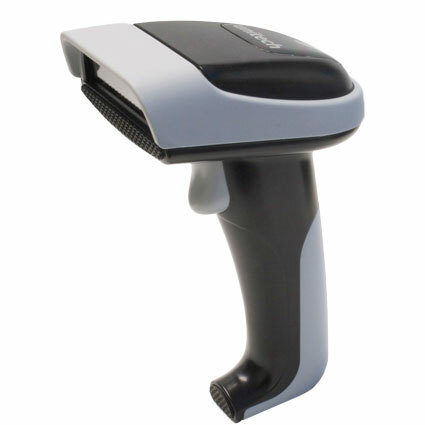 Unitech built the barcode scanner to meet an IP43 environmental seal, protecting the internal components from dirt and water splashes. The lightweight and ruggedized design is also strong enough to withstand multiple 4-foot drops, keeping it safe from the accidental drop or knock off a counter. Unitech ships the MS380 with a 2-year warranty, ensuring many years of great service. • Scanner: 2.7" x 3.5" x 6.3"
• Cradle: 4.4" x 7.9" x 2.78"